Trailhead and parking area are on Pond View Road in Weare, NH. Heading north on Rt. 144/77, turn right onto a short connecter road to Mt. William Pond Road, 1.3 miles north of the southern junction of Rt. 144 and Rt. 77. At the end of the connecter, turn left and go 0.2 miles on Mt. William Pond Road, then turn right onto Pond View Road. Continue 0.2 miles and park in a large pull-off on the left. Look for the logging road and a row of boulders. No signs mark the parking area. Mt. William is a small hill in the central Merrimack Valley, unknown to most as a hiking destination. Its ledgy summit has good views in most directions from a large clearing. The only way to reach the top is by snowmobile trail, but it is easy to navigate. From the pull-off on Pond View Road, walk past the row of boulders and begin hiking down the logging road. The road leads over small hills, lined with small pine trees for 0.4 miles. Here, you must leave the road to follow a snowmobile trail. Turn left at a group of snowmobile signs. The trail climbs at a moderate incline for another 0.4 miles before a side path leads on the right leads up to the summit clearing. There are views in all directions, but most are partially blocked by small trees. Exploration of the summit area will lead to discovery of many different viewpoints. 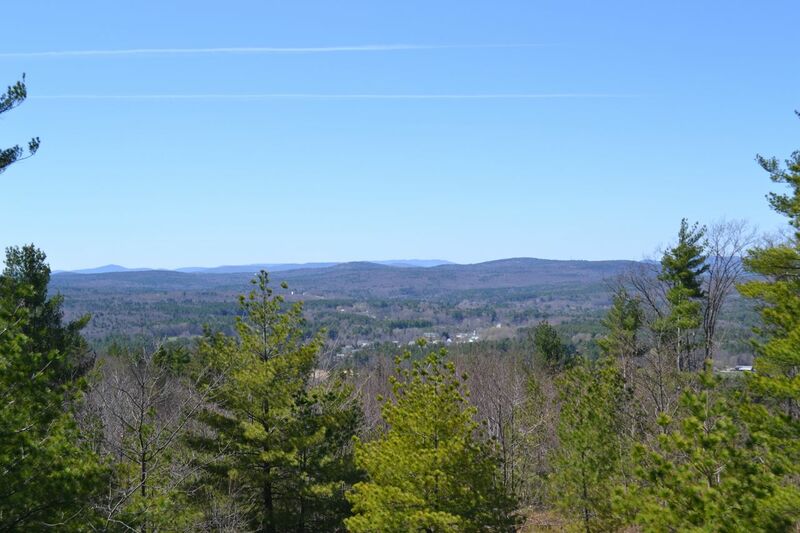 At the south end, there is a viewpoint toward the Wapack Range and a neighborhood on nearby Mt. Wallingford. Across from the snowmobile trail, there is a viewpoint over the city of Manchester, the Uncanoonuc Mountains, and Joe English Hill. At the north end of the summit, you can see west to Lovewell Mountain and Craney Hill. From here, you can also glimpse the White Mountains through the trees.